SteamWorld Dig by indie developer Image & Form is coming out later today on PSN for both PlayStation 4 and PS Vita. It will be a cross-buy game so if you buy it on one, you get it for the other platform for free. The game will retail for $9.99 but for the first week, PS+ members will be able to get a 20% discount on the price. I’ve actually been playing the game since Friday and can tell you that it’s a fun indie game with many unique qualities. I’ll have a review up of it soon but in the meantime, check out the official press release below as well as the official release trailer for more info about the game. Gothenburg, Sweden. March 18, 2014 – Today marks a milestone in the history of Image & Form; The first release ever on a home console! We are proud to announce the release of SteamWorld Dig on PlayStation 4 and PlayStation Vita. It will launch TODAY in the Americas and tomorrow (March 19) in Europe at the price of $9.99 in the US and 8.99€ in the EU. The game will be featured in Sony’s Spring Fever promotion on PSN with a 20% discount to PlayStation Plus members for the first week. Thanks to SteamWorld Dig’s immersive gameplay, unique mechanics and stunning presentation praise has been unanimous. As a result, Game of the Year nominations and awards have rained over the game. Image & Form is a Swedish game developer based in rainy, windy Gothenburg. 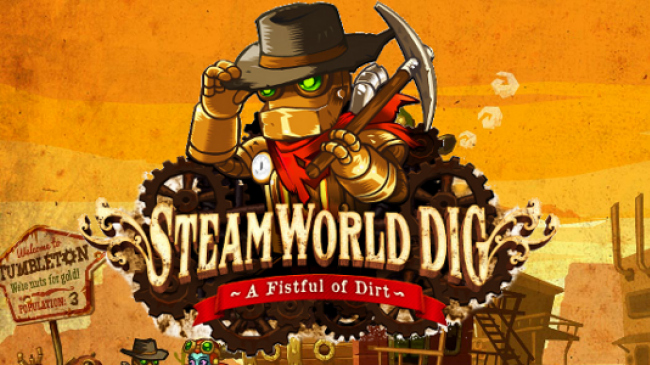 SteamWorld Dig is the most recent game in the SteamWorld series, and is a nominee and winner of numerous Game of the Year awards. Image & Form’s biggest success prior to SteamWorld Dig is the acclaimed iOS/Android real-time strategy game Anthill.